Read the 2018 winning essays. 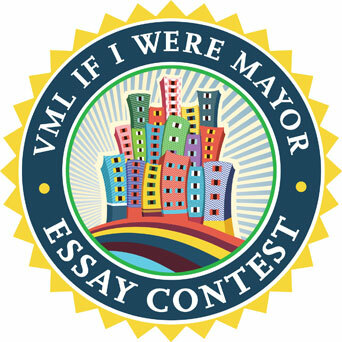 Each fall the Virginia Municipal League (VML) invites all Virginia 7th Graders to participate in its “If I Were Mayor” essay contest. The essays describe what the student would do as mayor to make their cities, towns, and counties great places to live. 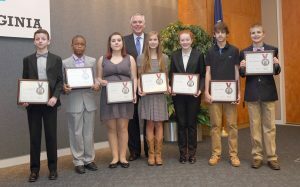 Promoting good local government is important to VML, and this essay contest provides students the opportunity to reflect on the important role of elected officials in their own city or town. 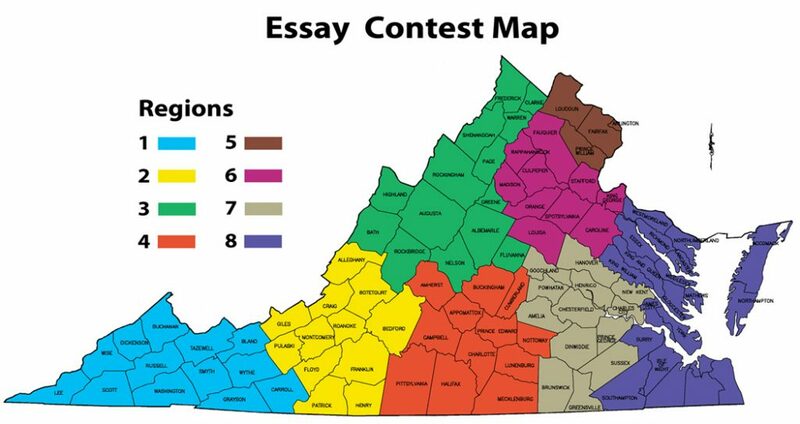 Eight Virginia regional winners are selected (see map below). Winners receive a $150 cash prize and plaque. One statewide winner is selected and receives a $250 cash prize and plaque. VML will be going to the localities of the winners to present the awards at their local council meetings. The contest is open to all Virginia students enrolled in the 7th Grade during the 2017-2018 school year. Essays should be typed or clearly handwritten. Essays must be 200 – 500 words. Essays must address the subject of what the student would do if they were elected mayor. Essays will be judged based on the following: originality, persuasiveness, understanding of city, town and county services, and proper use of composition and written expression. Essays must be received at the VML office by Friday, December 22. Winners will be notified in February 2018. Essays will not be returned. VML retains the right to publish essays along with the names of each student. Submit entries to: VML, Attn: 7th Grade Essay Contest, P.O. Box 12164, Richmond, VA 23241. (L to R) Jerry (Trey) N. Mitchell III, Terrence Massenburg, Skyla Rain, Sadie Dryden, Liv Scappa, Andrew Middleton and Dillon McReynolds. Not pictured: Maha Laiq. Read the 2017 winning essays. Read the 2016 winning essays. With Gov. 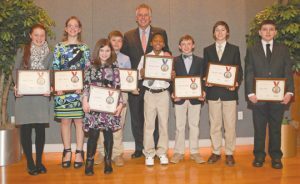 Terry McAuliffe are winners (l-r) Sophie Freiling, Adele Masson, Logan Kurtz, Garrett Love, Na’Seem Hopson, Macalister Gordon, Kendryek Wheeler and Bailey Nash. Read the 2015 winning essays. Он хотел их отключить. Для него важен был только один голос, который то возникал, то замолкал. - Дэвид, прости .